We recently received a large delivery of all sorts of animal-themed character merch (by which we mean various licensed products or merchandise featuring characters from TV and movies including hats, bags, and T-shirts). Adventure Time is a Cartoon Network show, featuring the adventures of Finn and Jake, the latter being a talking yellow dog. It has a huge cult following, including among some adults, thanks to its seriously wacky humour and story lines. 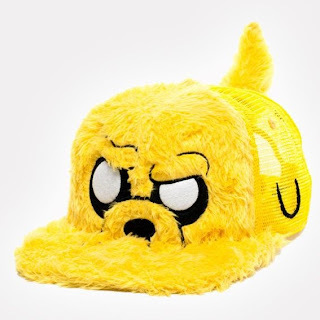 The Adventure Time products we have include two Jake the Dog hats - one a warm laplander-style hat, and the other a cap with some ludicrous special features: bright yellow fur and a tail. Each of these have already been selling well, so get stuck in quick if this is something you're going to want to buy. In the same ilk as Adventure Time, Regular Show is another totally nuts Cartoon Network series which is appealing to adults as well as kids. This one follows the surreal misadventures of a blue jay named Mordecai and a raccoon named Rigby. 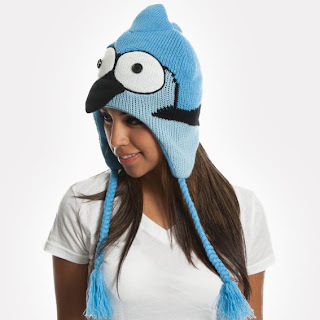 It's these two characters that feature on the two Regular Show products that we've added. Both are super-warm laplander hats, large enough for adults. There's the Mordecai laplander hat (as shown over on the left) and the Rigby laplander hat. Being an animal-loving bunch we're only interested in one thing and one thing only when we watch Family Guy: Brian. Brian is the family dog. He walks, talks and in most cases he is the only sensible one in the Griffin family. Oh and he's also partial to the odd dry Martinis. 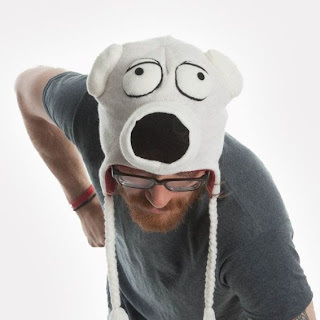 Now that the introductions are out of the way, as you can see over there on the left we have a pretty awesome Family Guy Brian hat in the laplander style. It's big enough to fit adults and has a fleece inner lining to keep you nice and warm. You all know who Scooby Doo is - he needs no introduction. 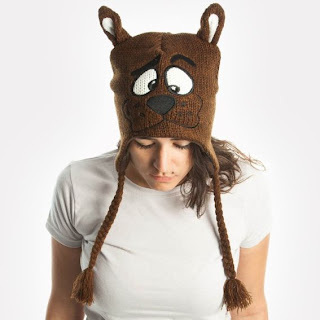 Like the other products mentioned in this blog post, we have a Scooby Doo hat in the laplander style. It's likeness is spot-on, as you might expect for an officially licensed product, it's big enough to fit adults and has a fleece inner lining to keep you nice and warm.